Over time, the owner has made adhoc decisions, reacting to internal and external stimuli. This condemns the owner to being overwhelmed; everyone must come to the owner to figure out what to do next. The result is disorganized processes—the #1 reason why small businesses stagnate or fail. Like large corporations, small businesses rely on a network of individuals to get the work done. But unlike large corporations that have typically developed robust processes, small business owners oftentimes throw together a group of people, tell them what they need, and hope things work out. Thoughtful strategy and attention to processes, procedures, and systems can transform a group of people into a capable, winning team. So begin building processes and systems to enable the entire employee team to execute the majority of the business’ activities without direct input from the owner. 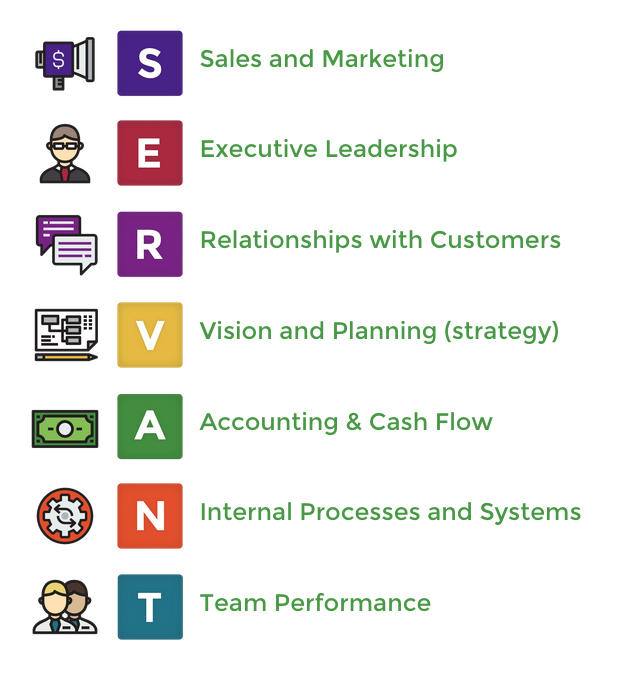 This is the 6th of 7 posts in our SERVANT Whole-Business Model blog series – the “N” of SERVANT is for “iNternal Processes.” We’re covering 7 ways to have efficient processes in small business. It’s everything you need to be sure that you’re managing your small business’ internal processes efficiently, maximizing the profitability of your business. With our business coaching clients, we start with operational systems. They’re the most demanding and most client-facing processes. They’re the day to day operations and the more robust they are, the better the business is able to operate on a daily basis. Warning—tediousness ahead. Start by having every team member document his/er processes… every detail. Then identify improvement opportunities and create workflow charts that reflect you and your team’s best thinking about how each process should work. We wrote a short e-whitepaper “The 7 Strategies of Indy 500 Teams That Smart Business Owners Use to Win Big” that walks you through an easy step-by-step and gives tips to make process refinement less painful. There are few things less glamorous than reviewing your company’s processes and procedures but when we take time to figure out exactly how the routine things should be done and who should do them, we usually find thousands of dollars of savings and profit generation right out of the gates. Here we focus on the people side of the business. As that person behind the wheel, it’s up to you to build a team that’s capable of succeeding at the tasks that’ll take your company from good to great. Your goal is to have the right people in the right roles, each one happy, motivated, and engaged. The primary tools here are your organization chart (we create one if you don’t have one), a future-focused organization chart (what your organization needs to look like in, say 5 years), and position descriptions. The 3rd of the 7 ways to have efficient processes in small business is about protecting your people and your business. Regular safety meetings, writing safety policies, posting safety posters are a few of the things you can do. Often we find business owners have some things in place and it’s just a matter of making sure they’re documented. The key here is to elevate your game in terms of the company’s ability to produce products or deliver services at a high level—ones that satisfy customers continuously. This involves identifying where poor quality and failures exist, performing root-cause analysis, and putting in place the continuous process of regularly reviewing. Use your future-focused organization chart as an opportunity to talk to each individual about his/er future. The performance management system is a check about where they are today vs where they want to go, then creating a plan each person can follow to develop the skills and knowledge to get them there. This is about the long term life of your business… challenging the way you do things and identifying better more effective, more impactful ways of delivering your products and services. 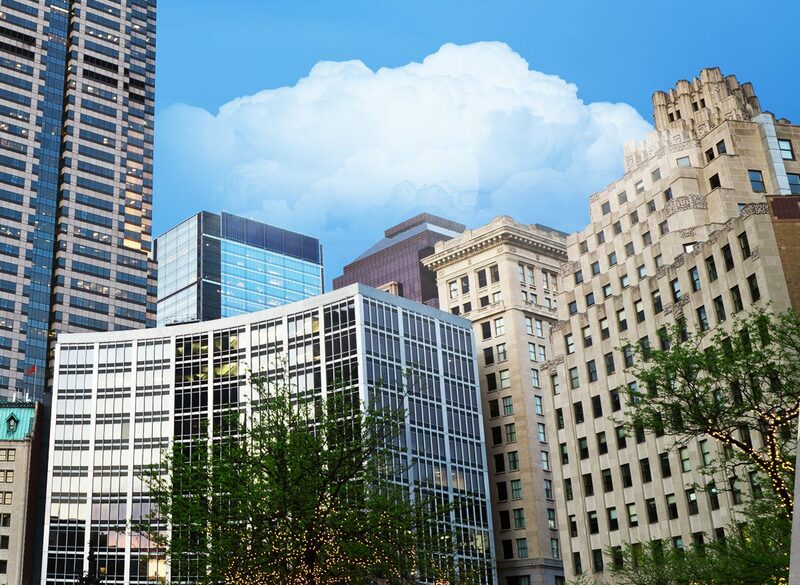 Insure that you’re using the latest technology wherever you can to enable innovation and improve efficiencies and productivity in all other processes in the company, such as in accounts payable and receivable, equipment, purchasing, physical space, etc. Now we’re pulling it all together to make processes work well, flow, and support every other process. Since you’re challenging the whole team to work together efficiently, there will naturally be situations where one department is inhibiting the success of another. So, provide opportunities for them to hash through these together. Leverage the leadership team—leaders come together and discuss issues effecting multiple departments. Or pull together a cross-functional team tasked with uncovering and rectifying inefficiencies company-wide. Efficient processes in small business are not only possible, they’re necessary. If you improve your processes so that anyone anytime can do them flawlessly, you stop wasting time and money. Moreover, your team’s performance will be so high that everything gets done the way you want—even when you’re not there. And that’s a beautiful thing. Looking to improve your team performance & business process efficiency? Call us today.